Suffering from stress-related tension, fatigue, carpal tunnel syndrome, migraine headaches or low back pain? 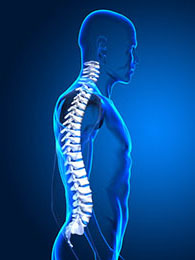 Your solution may be to visit Alexandria chiropractor Dr. Edward Wilkinson, DC. Have your attempts to resolve the problem through traditional medical treatments been unsuccessful? Scheduling an appointment with Allied Chiropractic could bring you the much needed relief you are seeking. Doctor Wilkinson is your Alexandria, VA chiropractor. Expectant mothers can also benefit from chiropractic care, especially in their third trimester, as chiropractic care can help alleviate some of the discomfort and stress to the lower back that extra weight gain causes, with no adverse effects on the baby. Dr. Ed Wilkinson is an Alexandria Virginia chiropractor. He has been a chiropractor in Alexandria VA for almost 25 years. You can also count on him for acupuncture alexandria va. He also provides massage therapy alexandria va. If you are looking for a chiropractor in Alexandria VA, Doctor Wilkinson is the man to see. If you are looking for a massage therapist alexandria VA, he comes highly recommended. For a massage Alexandria VA, he is highly experienced after practicing for 24 years. There are many chiropractors in Alexandria VA, but it is advisable to choose carefully. Of all the chiropractors in Alexandria VA, Doctor Edward Wilkinson has been around the longest. "Most people can benefit from ongoing, chiropractic preventative care"